We at Deearna’s offer packages for all situations this could be a welcome home pack, live in/out services, consultation packages, single parent support, birth preparation – we are able to provide you with a doula who will offer you support for before during and after your baby is born. We also have a superb team of multiples experts. Whatever your childcare requirements please give us a call. This means we will be offering a lovely new addition to the services offered. What better way to announce the arrival of a new grandchild than than to present a lovely gift voucher. 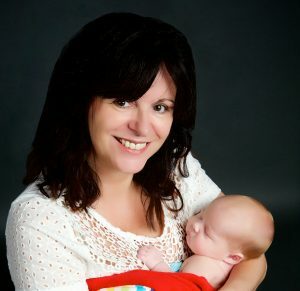 Helen Cook trained as a maternity nurse with the world acclaimed MNT in Hampshire and is also a qualified nursery nurse. Discreet, supportive and highly professional, Helen has worked in childcare for over 30 years in a variety of roles. Helen has a wealth of knowledge in all aspects of childcare from newborn through childhood. As a mother of four children and a grandmother herself, Helen truly understands the needs of parents, babies and other family members. As new parents, you will find that the new grandparents will want to help, guide and offer lots of advice. Some things will never change when it comes to caring for a baby, but plenty of things have in the past few decades, even in the past few months! Whether this is their first grandchild or fifteenth, a practical baby care grandparent workshop is a great way to refresh their knowledge, learn the latest techniques and philosophies. This is where I can help and offer a fantastic package for grandparents. What better way is there to introduce your pregnancy, than giving a bespoke card inviting the grandparents to join you on the journey. In this practical baby care grandparent workshop they can relax, rewind, and refresh their knowledge in preparation for the new arrival. Current recommendations on sleep and car safety. Up to date information on supporting breast and formula feeding, including winding, reflux and colic. Baby calming techniques, new bath time practices and the benefits of tummy time. How to support parents in the early days and the importance of skin to skin contact with their newborn. Time to explore your own questions and specific family circumstances. to book one of Helens workshops or to buy a voucher please contact jodie on 07585118650. who will arrange this for you. Maternity Nurses are employed on either a daily or live in basis. The role of the maternity nurse is to fully support the parents after the birth of their baby. Care for your newborn baby, sleep positioning, bathing, changing, hygiene,cord care,skin care. problems that could occur and how to avoid them. All maternity nurses vary in what they will do,however the above is the minimum you can expect from your maternity nurse. Your maternity nurse is not there to take over she is there to simply guide you. You will be able to relax and recover knowing you have the support and guidance around the clock. The disadvantages of employing a maternity nurse. Possibly the fact to you that you will have a stranger in your home caring for your baby. and give you the space you need. For more information on the pro’s and con’s and what else you can expect from your maternity nurse please call us and we will happily talk through any concerns you may have. Many new parents have been ecstatic with our “Welcome home pack” and have said what was looking to be a daunting scary process of leaving hospital with a new baby has actually turned out a pleasure with the nurse accompanying them. The maternity nurse will accompany you from the hospital to your home and remain with you for 3 days. During this period your nurse will show you how to care for your baby, feeding techniques, care of your breasts (if you are deciding to breastfeed) and care of bottles and sterilizing. She will also talk through any concerns or worries you may have with your new born, this may be how to set a routine in place, what different cries mean and many more areas of possible concern. After your nurse has gone – many parents think “oh i wish i had asked that”, well you can at Deearna’s we will personally take your call and answer any concerns you may have after your nurse has gone. Private Midwives have chosen to work outside the NHS and will therefore provide all the duties a midwife would for pre and post natal care including birth but on a private basis. The breastfeeding/lactation consultant is a specialist in the breastfeeding area, she will recognise, prevent and solve breast feeding problems. Often these consultants are trained midwifes or Health care professionals. A doula will provide emotional support for before during and after your baby is born ( she does not however replace your doctor or midwife ). You will be encouraged to prepare a birth plan and this plan will be cared for by your doula to ensure, where possible, your wishes are granted. Doulas are proficient in massaging, positioning, comfort measures, relaxation and breathing. Most doulas provide early labor support in your home until the time is ready to transfer to where you are going to give birth. Your doula will remain with you and give you continued support and encouragement until baby is born. Once baby is born your doula will help assist with breast feeding and any postpartum issues. Some doulas will visit your home when you return and will offer daily support for a few days. The doula will not take over the role of the father – it is often forgotten that dads, even though not physically but emotionally, go through this labor too, therefore the support and guidance is for you all. We also have a Dedicated Nanny Team, contact us for more details and your full requirements and we will happily help you. This package is designed for those that would like to benefit from the knowledge of a maternity nurse but budget dictates otherwise. Maternity Nurse for the whole day and then daily contact as much as you like for a week after answering any concerns you may have. This is a very popular choice for our clients that would like to attend a wedding but leave the newborn/toddlers at home. The maternity nurse will come to wherever you are and take care of your babies whilst you enjoy yourself this could be for a couple hours, full day or whatever you would like. If there are a few families with newborns this we can also accommodate. At Deearna’s we are able to offer one to one parent coaching session before your baby is born. This is ideal if you are anxious about coming home with a new baby. How to settle your baby to sleep & Current sleep guidelines. How and when to start a routine. This session will run over a two day period (with five days phone support when you return home- subject to agreed timings) and will fully prepare you for going into labor and coming home. Once home you are then able to contact one of our consultants for the first week with any concerns you may have. Our phones are on 24hrs. Our holiday maternity nurses will accompany you and your family on holiday and care for your baby whilst you relax, she will come to your home prior to travel to ensure you have everything required,she will either work on a 24 hour basis, a nightly basis or be flexible to your requirements at the time. You will be expected to pay for the maternity nurses accommodation and travel.Holiday maternity nurses are superb especially if you are changing time zones and are worried about your baby falling out of its routine. For more information do please call us.